Have you experienced travel via hot air balloon yet? Trendy and immersive, soaring above the skies in a balloon gives a person a new level of freedom. How peaceful it must be to float away with the clouds, clear your mind, gain a different perspective (literally). There is something therapeutic about letting yourself drift pleasantly in the air, watching the people on the ground getting smaller. A fun fact about hot air balloons that I bet you didn’t know before; the first passengers in a hot air balloon were actually animals! A sheep, a duck, and a rooster to be specific. No animals were harmed in this experience, they all landed safely again on the ground. There are three main parts to a hot air balloon. The burner, the envelope, and the basket. Balloons rise up to 3,000 feet in the air. During a flight the balloon will cover anything from 2 to 20 miles. The direction is completely determined by the wind. Letting go is part of the beauty of this experience. A few artists use balloons as their mediums. Jeff Koons being the most notable. 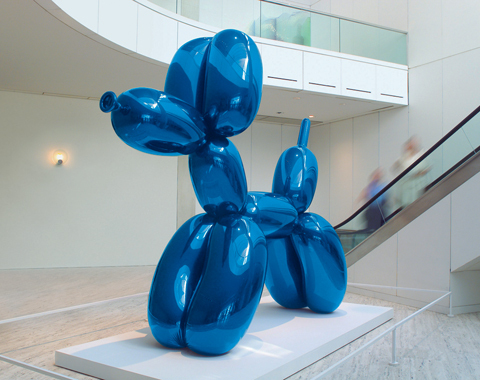 Koon’s balloon animals produced in stainless steel are notorious across the globe. His pieces sell for approximately $35,000,000 in Christies or more. Koon’s says, ‘I think art takes you outside of yourself, takes your past yourself’. In the same way balloon rides or balloons rise up and away from the ground, while you stare at them dissapear and embark on a journey. It lifts the mind. Koons is not the only artist to play with the childlike memories we all have of balloons. Andy Warhol also explores the concept with his work ‘Silver Clouds’ (1966). He too uses silver balloons to represent clouds and density. It was immersive, allowing the audience to fully engage with the piece, be consumed by it. 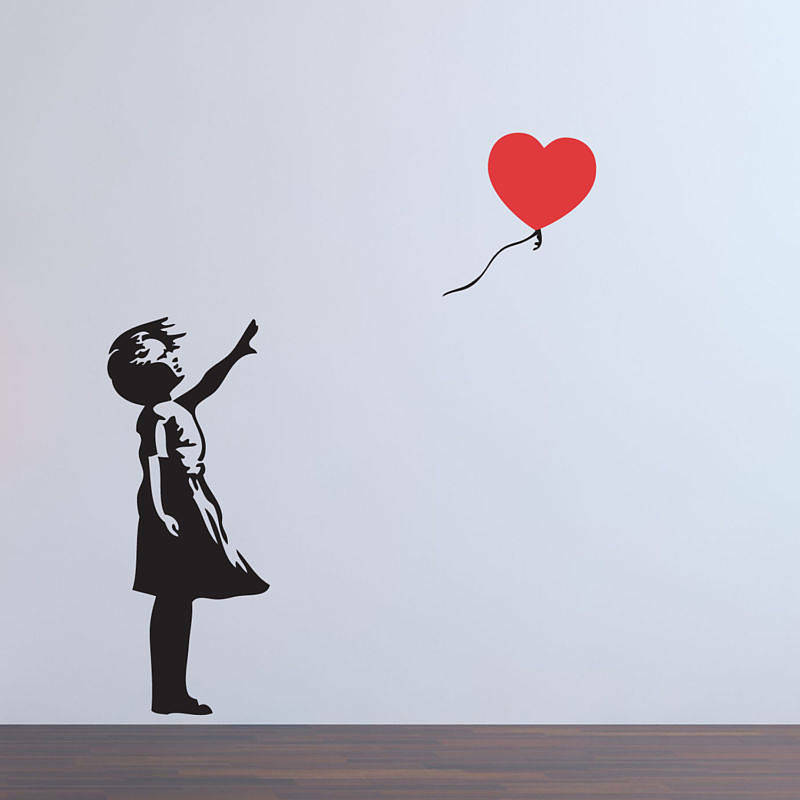 The infamous Banksy, has also created a mural called the Girl with balloon. This piece depicts that there is always hope. Banksy creates a metaphor that everyone can relate to, anyone who has struggled or is struggling can connect to the concept of hope. Another artist showing that we should hold onto our childlike innocence, and enthusiasm. In a lot of places around the world, there are balloon festivals. It seems that across all cultures we want to stay close to our youthful habits and roots. 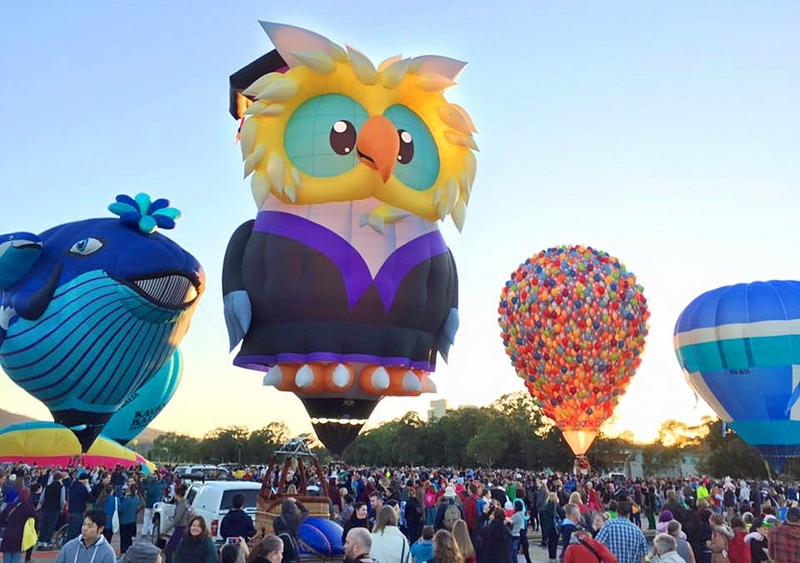 The Canberra Balloon Spectacular is held in Australia from the 9th of March until the 17th of March. It is set to attract 40,000 locals and visitors. There will be 33 balloons for this years event and the audience is allowed to get really close and personal to the balloons, admiring their detail and splendid colours. In 2017 Desperados organised a festival called SkyFest, where the DJ’s flew in hot air balloons and played to the crowd from high up above. Together with the lasershow and sky-high sound system, looking up at a sea of balloons, the audience received a show they’ll neer forget. The largest balloon festival in the world is Albuquerque, New Mexico. They soar 700 balloons across the sky for nine days. Closer to home is the International Hot air balloon festival in Bristol. 8-11th of August. Across the globe balloons are clearly popular, maybe we all secretly still hold onto our childlike fantasies or, perhaps in adulthood we relate to the concept of floating away. So, if you would like to float away with one of these experiences, there you have it. A full list of options to engage with your childhood roots. Immersive experiences are becoming more and more popular these days. People like to feel included in things that they pay for, rather than just being a spectator. Which one of these will you join for their next experience?